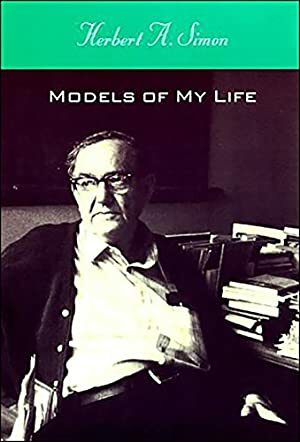 In this candid and witty autobiography, Nobel laureate Herbert A. Simon looks at his distinguished and varied career, continually asking himself whether (and how) what he learned as a scientist helps to explain other aspects of his life. A brilliant polymath in an age of increasing specialization, Simon is one of those rare scholars whose work defines fields of inquiry. Crossing disciplinary lines in half a dozen fields, Simon's story encompasses an explosion in the information sciences, the transformation of psychology by the information-processing paradigm, and the use of computer simulation for modeling the behavior of highly complex systems. Simon's theory of bounded rationality led to a Nobel Prize in economics, and his work on building machines that think -- based on the notion that human intelligence is the rule-governed manipulation of symbols -- laid conceptual foundations for the new cognitive science. Subsequently, contrasting metaphors of the maze (Simon's view) and of the mind (neural nets) have dominated the artificial intelligence debate. There is also a warm account of his successful marriage and of an unconsummated love affair, letters to his children, columns, a short story, and political and personal intrigue in academe. Track It. This book has been $41.97 within the past year. Log In to track Herbert A. Simon on eReaderIQ. to be notified each time the price drops on any book by Herbert A. Simon. to stop tracking Herbert A. Simon. We started tracking this book on November 6, 2014. This book was $40.03 when we started tracking it. The price of this book has changed 15 times in the past 1,631 days. The current price of this book is $47.39 last checked 11 hours ago. This lowest price this book has been offered at in the past year is $41.97. The lowest price to date was $30.49 last reached on November 13, 2014. This book has been $30.49 one time since we started tracking it. The highest price to date was $53.99 last reached on April 28, 2018. This book has been $53.99 3 times since we started tracking it. We last verified the price of this book about 11 hours ago. At that time, the price was $47.39. This price is subject to change. The price displayed on the Amazon.com website at the time of purchase is the price you will pay for this book. Please confirm the price before making any purchases.